Saturday or Sunday afternoon party-times are flexible, at least 2 hours as needed. Ben recommends 12pm to 2:30pm, starting with a hotdog campfire lunch. Summer weekday afternoon birthday parties are 3:30-6pm, and have a $200 discount, since our staff are already on-site and set-up. These parties begin or end with cooking hotdogs and/or marshmallows, etc, on a campfire. Your Rite-of-Passage Party will be legendary. Party Package includes at least 2 hours of fun Skill Challenges in the TWA AdventureLand! 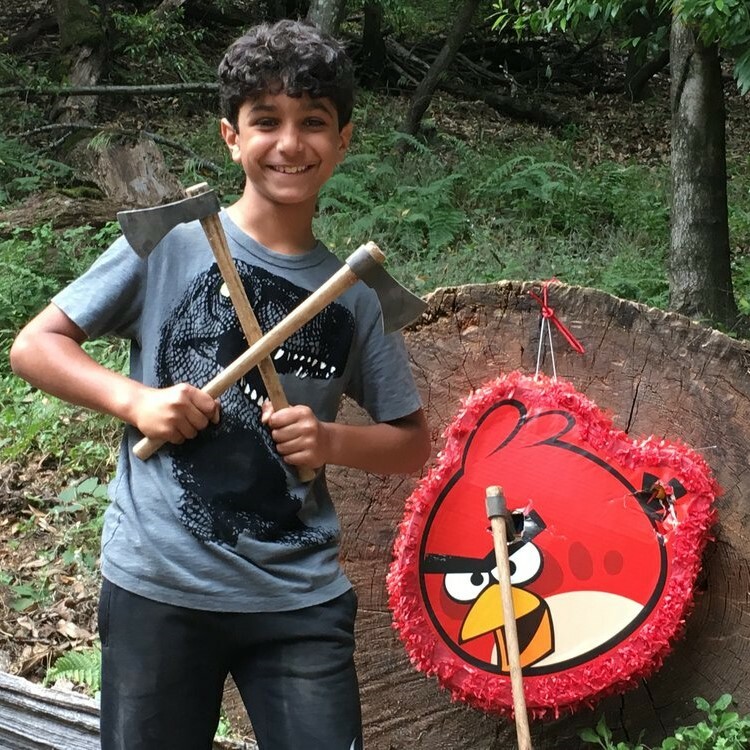 Tomahawk the Piñata (age appropriate choice of metal or plastic Tomahawks). 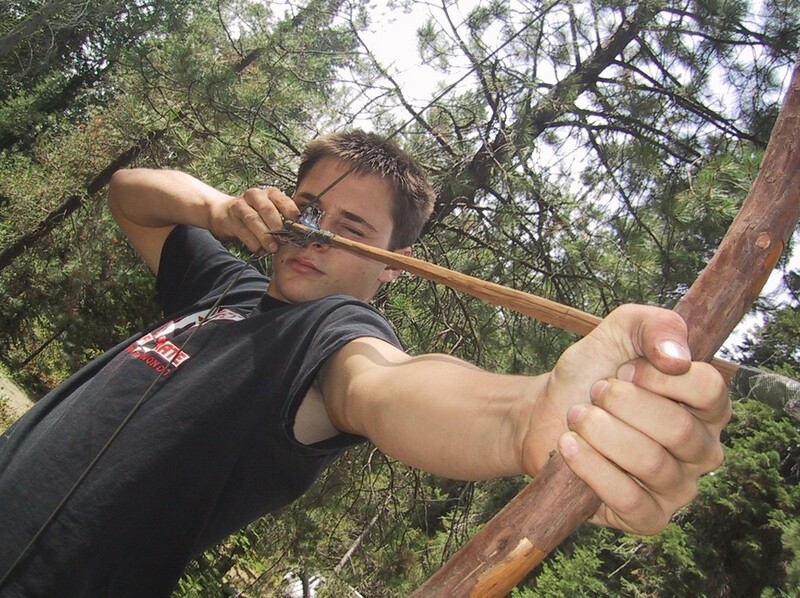 Attack the Watermelon (Tomahawks or Throwing Knives). Bow-n-Arrow Big Bang (Balloons, or high-pressure targets for big kids). Knife Throwing Contest (heavy plastic or metal knives). Learn Wild Animal Calls & How to Fight a Bear. Try our Jungle Zipline and Tree Walk Slackline. Achieve Fire-by-Friction, (followed by campfire BBQ). Birthday Boy (or Girl's) Rite-of-Passage Ceremony. Note that the Survival Skills will be age appropriate. We strive to do all of the activities listed above during party if the kids are able. Parents provide: cake or cupcakes, hotdogs, marshmallows, piñata candy, one large watermelon target, guest gift bags or other theme items as desired. TWA provides the cooking sticks and the Piñata. Simply book the Base Rate for up to 12 guests, and then pay $20 per additional guest by check or PayPal on the day of the party. We need to count all kids ages 6-and-up as official party guests, except up to three age 5-and-younger siblings/relatives of the Birthday-Kid may attend at no cost if each young child is supervised by a specifically designated adult at all times). Several parents are also welcome to attend as chaperons at no cost. For safety, these outdoor adventure parties are designed for ages 6-and-up. The best ages for our program are 8 through 11. And yes, adults get to play too! 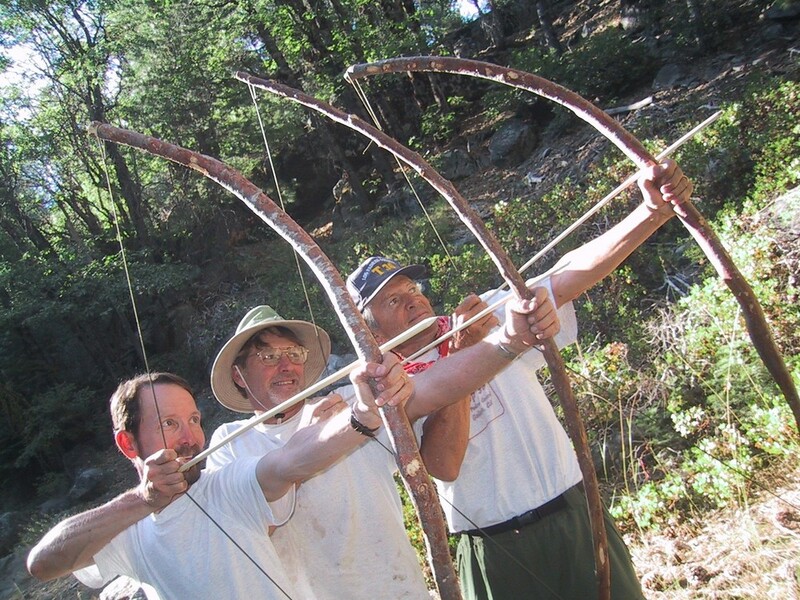 We shoot real arrows, and the guests build a real campfire by rubbing sticks together. It's real fun!